Picture the scene – a young woman, tired from her daily routine, falls asleep on the train ride home. What happens next is unfortunately predictable – she awakes to find a man doing something so wildly inappropriate, it will have a lasting and damaging effect on her perspective of the world and the people around her. In this extremely personal film, Cheer Up Baby, writer/director/editor Adinah Dancyger explores the systemic desentization to sexual harassment and its rippling effects, by creating an atmosphere narrative certain to leave her audience shaken and uncomfortable. As a teenager in high school, Dancyger went through a similar disturbing event. Just like her lead character, after falling asleep on the train, which at the time felt like a normal and safe thing, she woke up to a stranger holding her hand and whispering compliments to her. As one would imagine, or knows, such a disturbing interaction triggers anxiety, fear and shame in the following days and it’s the aftermath of this incident where the focus of Cheer Up Baby lies. Despite how close to the story Dancyger is, the writing process took a long time, with multiple edits. Aiming to create an intimate and genuine portrayal of an all-too-common occurrence, for this story to have the extreme authenticity needed to make it reverberate, picking a suitable lead was always going to be key. India Menuez, as Anna, gives a flawless and layered performance, perfectly portraying the confusing mix of feelings her character experiences, in a raw and compelling way. Alongside Menuez’s powerful performance, every aspect of production – photography, sound, lighting and edit – work in perfect harmony to create an atmosphere which makes Cheer Up Baby a truly memorable viewing experience. During her collaboration with her DP, Dancyger would use words such as “closer, blurry, soft, hazy” to vocalise what she was expecting from her aesthetic. This meticulously crafted cinematography, works alongside a layered soundtrack and tight edit to make its audience view the film through the young woman’s perspective, again adding to the resonating impact of this short. In the past couple of years, we have seen an emergence of films tackling issues of sexual harassment and acts of violation in public places, mostly public transportation. Dancyger is well aware that her film will be associated to the new movements, even though the issue has always been a constant reality. Yet, the “newfound relevance” of such a sensitive topic pushed her to make a nuanced film that she hopes will provide an outlet for people going through the same turmoil. This is Dancyger’s third narrative short film, after a premiere at NYFF in 2017, the film went on the festival circuit with a notable stop at Sundance. 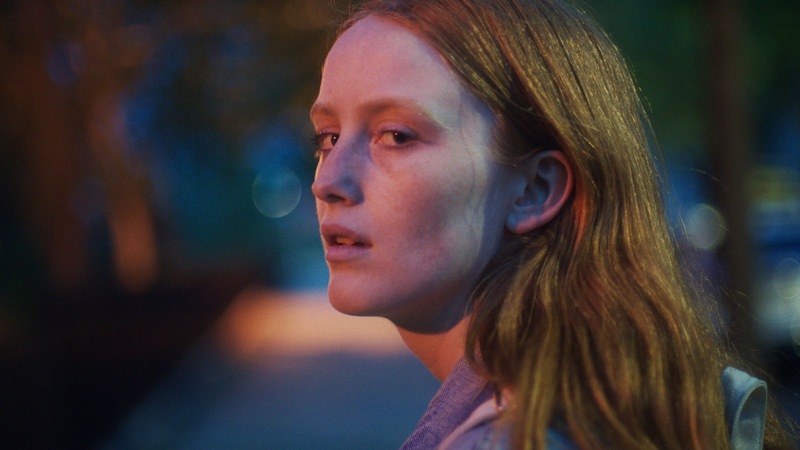 An already quite prolific filmmaker with many collaborations with Dazed or Nowness, Dancyger is now in the writing process of her debut feature film.